Multilevel marketing (MLM) is probably one of the most compelling and attractive side business opportunities that you can find. This type of opportunity will usually promise good returns on your investment, provided you put in the work and effort on the business. MLM businesses are usually direct selling business where you are given a product or service to promote. But your income doesn’t just rely on selling products or services. You can also recruit people to become direct sellers under you and you will earn additional profits from everything that they make. The challenge with MLM opprortunities is finding the legit ones that don’t only rely on recruitment to build your income. Now in this review, we’ll be looking at an MLM business opportunity. This MLM business is called Plunder Design, where you will be given an opportunity to start your own jewelry distribution business. You just need to put down an investment of $99 to start your business and you can make a profit from the retail sales and the many bonuses that the company provides. The amount of money you can earn here will greatly depend on your effort. But looking at the way the system has been placed, it seems like it is possible to earn $1,000 a year, but it will require hard work. But is Plunder Design really a legit MLM opportunity or is it just a scam and a waste of time? Plunder Design is a jewelry company that sells unique jewelry that the owner designed herself. She began the business in 2008, due to her love for all vintage things. It began as a hobby, as she designed jewelry for her to wear, but her family and friends loved it and asked her to make some for them as well. When the orders started to pile up, she decided to get the help of family and friends. They soon expanded this, thus turning Plunder Design into an MLM opportunity. From what I’ve seen so far, I can say that the opportunity that this MLM company provides is actually legitimate. You can really make money with this company, provided you work really hard and are very dedicated. However, there are also some issues with this opportunity. If you noticed, I mentioned you can make money if you work hard and are very dedicated. I say this because this is really what you will need in order to make money with Plunder Design. This opportunity is actually a bit challenging and I’ll be discussing this in more detail as we progress in this review. The Plunder Design opportunity is designed for people who are looking for opportunities to start a side business and make some money. It is an MLM company, where you will have an opportunity to start your own business promoting and selling the jewelry products that the company makes. You can also make money whenever you get people to sign up under you and also become a Plunder Stylist. As a member, you get to earn in several ways, with the income from retail sales being one of them. As an MLM company, Plunder Design also offers several bonuses that will help you make more money. You just need to reach certain milestones to be able to receive the bonuses. Now, to be a member of this MLM company, you need to become a Plunder Stylist. And to do that, you need to purchase their Starter Kit, which costs $99. Take note that they only allow people who live in the U.S. or U.S. territories to be members. You also need to be at least 18 years old to become one of their stylists. In the next section, I’ll discuss in more detail the membership process, as well as ways you can make money with Plunder Design. How Do You Make Money with Plunder Design? As an MLM company, Plunder Design offers several opportunities for you to make money. But the main one is through the profits you can earn when you sell the different pieces of jewelry that the company offers. You can also earn through the many bonuses that the company offers, you just need to reach certain milestones to achieve them. To start earning, you first need to become a Plunder Stylist and in order to do so, you need to purchase their Starter Kit. The Starter Kit costs $99 and it includes everything that you need to start your jewelry distribution business. The kit comes with $158 worth of jewelry, 18 company catalogs, 25 order forms, 25 thank you cards, 20 opportunity brochures, and 25 business cards. You can also choose to include the Business Upgrade Kit for $497. This kit comes with $516 worth of jewelry, 3 Plunder notebooks, 8 Plunder pens, a Plunder bag, Plunder tablecloth, and Plunder table runner. To get the Business Upgrade Kit, you need to purchase the Starter Kit first, which would bring your total cost to $596. Once you have selected and purchased the kit, you can already start earning. Now, the company has four ranks you need to achieve in order to earn more. The starting rank is the Savvy Consultant, where you can earn 20% commission on the items that you sell. The next rank is the Posh Consultant, where you can earn 25% commission and a Super Retail bonus of 2%. The third rank is the Moxie Consultant with a 25% commission and 3% Super Retail bonus. The highest rank is the Stellar Consultant, where your commission will be at 30% and the Super Retail bonus at 4%. You would need to have a $1,200 personal commissionable volume in one calendar month to earn this bonus. Aside from the retail commission and bonus, Plunder Design also has the Personal Team and Override Bonus. 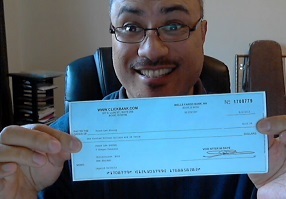 These are the bonuses that you will receive from the downline commissionable volume. You can receive commissions from various levels of your downlines from level 1 up to level 6. The percentage bonus ranges from 5% to 8%, depending on your rank. To view the complete compensation plan of the company, check out the image below to get an idea of what kind of bonuses you can expect to get. Now, if you look back at the image, you can see the earning potential the opportunity provides. But, you can also see the requirements that Plunder Design has in order for you to earn the bonuses. If you take a look at it closely, you can see that you will be required to really work hard and achieve a certain sales target in a month just to earn a bonus. You need to at least sell $400 worth of products in 1 out of 3 months to be active. Then you and your team would also have to achieve a team sales volume of $2,500. These things are really not that easy to achieve, which is why one of the biggest complaints that people have with this opportunity is its difficult and challenging requirements. This is also the reason why not everyone makes it big in MLM, because the challenging requirements that they have will really take hard work, dedication, and a bit of luck in order to become successful. Now that we know what Plunder Design is and what they are offering, it’s time to discuss what I liked about this opportunity. The first thing that I liked about Plunder Design is that they have a wide selection of jewelry that is also affordable. These two things will make it a bit easier for you to promote and market the jewelry that the company sells, thus possibly making it easier for you to sell the items and earn commissions and bonuses. I also like that Plunder Design concentrates its requirements mostly on achieving certain sales targets instead of how many people you have under you. This is a good sign that the MLM company is legit, as it doesn’t really focus on the recruitment side of the business. Another thing that I like is that Plunder Design provides a lot of different milestones for you to achieve in order to earn bonuses. In this way, you will be able to make more money faster. Of course, not everything about Plunder Design is good, as there are also things that I didn’t really like about this opportunity. One of the first things that I didn’t like about Plunder Design is that the requirements they have in order for you to earn bonuses are a bit challenging. You need to at least achieve a sale of $400 in one calendar month, which is not easy to achieve for everyone. Unless you really are good at direct selling, making money with this opportunity might only result in disappointment. Another thing that I didn’t like is that the team and group requirements are also as hard as the personal requirements. This means that the people you recruit to be part of your team also need to be hardworking and dedicated to achieving their goals. Do I Recommend Plunder Design? After learning more about Plunder Design and what they really bring to the table, I can say that it is an opportunity that I don’t really recommend for everyone. If you are someone who is great at selling products and inspiring people to perform, then this opportunity might be for you, as these are the skills that will help you succeed in this opportunity. But if you hate selling and are not really fond of interacting and talking to people, then you are better off looking for a different opportunity. Yes, it is possible to make good money with MLM, but it’s really not an opportunity for everyone. Plunder Design is no different in that regard. To succeed and make a lot of money here, you need to be willing to work hard and put in the effort of selling and promoting products. Then you also need to put in the effort to motivate people below you to perform. If you won’t be able to do these things, then you won’t really earn much with this opportunity. Adme App Review: A Legitimate App To Make Money Unlocking Your Mobile Device Or A Scam?